Even as adults, some of us are less inclined to participate in sport. For most of us who fall into this category, the gym is where we get our exercise. For children who aren’t crazy about sports, there aren’t as many options and it’s easy for them to fall into sedentary patterns. 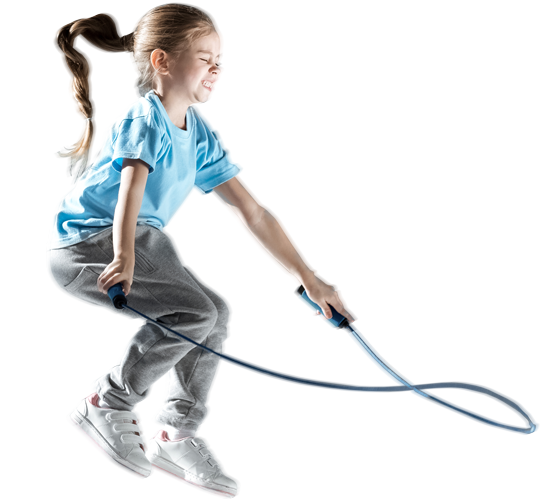 Our Fitkids class is an age-appropriate strength and conditioning program for children with an added dimension. Coaches also introduce children to concepts such as leadership, healthy eating and problem solving. If your child isn’t sports oriented but loves keeping active, these co-operative one hour play sessions might be a great fit. Fitkids is offered year-round Indoor or Outdoor depending on location. All Sportball programs are designed to grow with your child and reenrollment is encouraged! To find out if Fitkids is offered at a location near you, please contact us. Our play-based approach uses creative coaching techniques to captivate imaginations and reduce performance anxiety. In a game of Star Wars, Children sprint through an imaginary field of asteroids or dodge Freezeballs in Dr. Freeze. Strength is tested against Coaches in a tug of war. Speed, coordination, balance and timing are developed rapidly.